The Junk Orchestra were recommended by the designers of the new park playgrounds and look absolutely amazing – check our their website http://www.thejunkorchestra.co.uk. 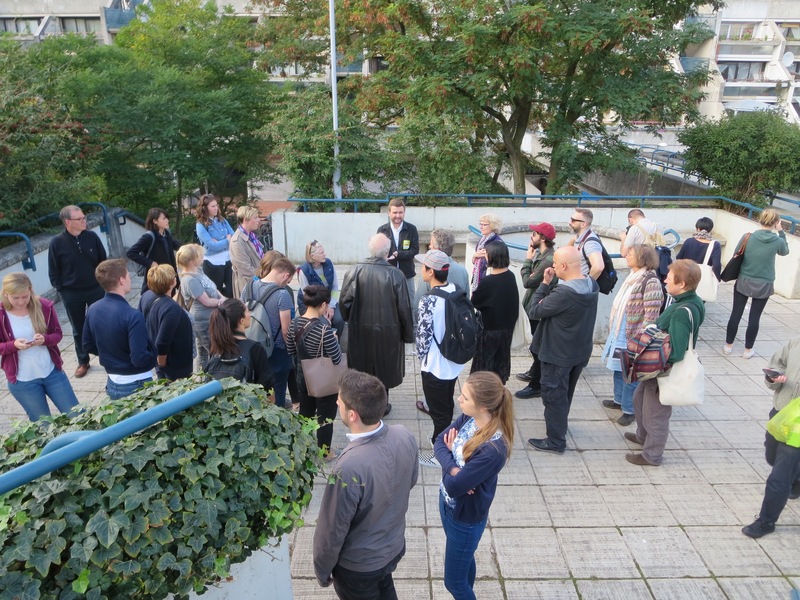 Open House 2015 – a huge success! 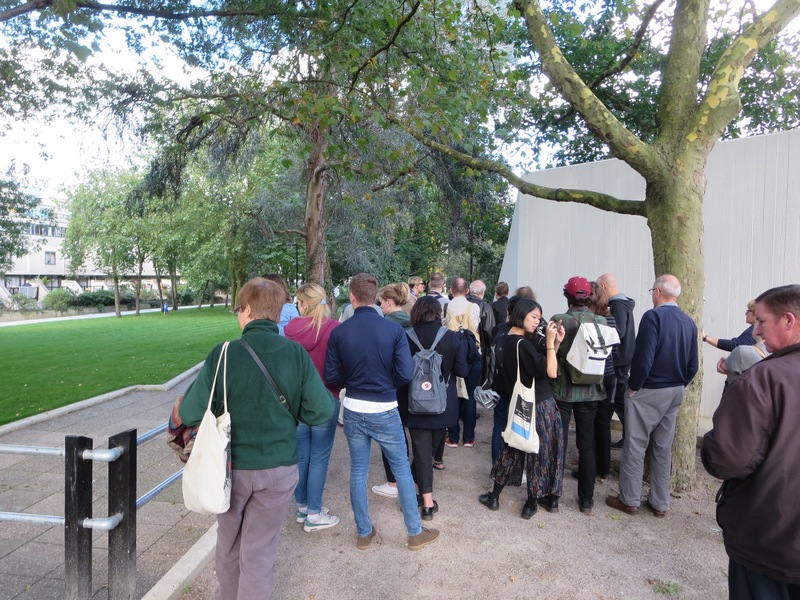 This year for the first time ever Alexandra Road Park was part of ‘Open House’ on 19th September, and it was a huge success! We had a fantastic day with 250 visitors in total, who were taken on guided tours around the park by Neil Davidson, the lead landscape architect for the restoration works from J+L Gibbons – assisted by our brilliant Open House volunteers. As you can see from the photos, there were crowds of eager visitors! The Tenants and Residents Hall was also open, where Friends of Alexandra Road Park provided home-made cakes and cups of tea, information about the park was displayed as well as films about the estate and a photographic exhibition. 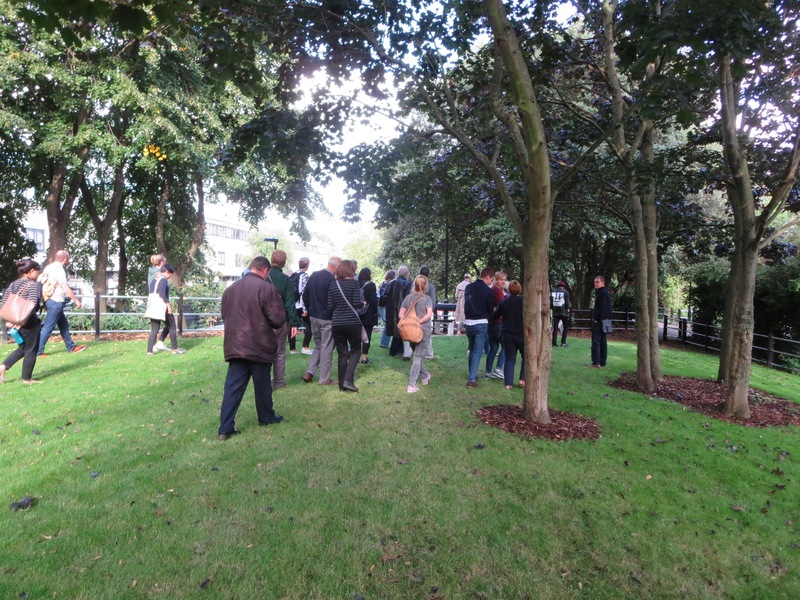 It was wonderful to have been able to introduce so many people to the park, and to hear such great feedback about it. We hope that lots of the visitors will come back and enjoy spending more time in the park and its playgrounds! On Monday 2nd November we will be planting spring bulbs across the park as part of the restoration of Alexandra Road Park, with friends of the park and anyone from the local community who would like to join in. We would welcome as many helpers as possible. Please come to the “meadow” area at 9.30am or any time after that if you can’t make it quite so early. Please bring your own tools if you have them – if not we will be able to provide some. We will be organising a children’s bulb planting session for one weekend soon but we need to get the serious stuff done first! 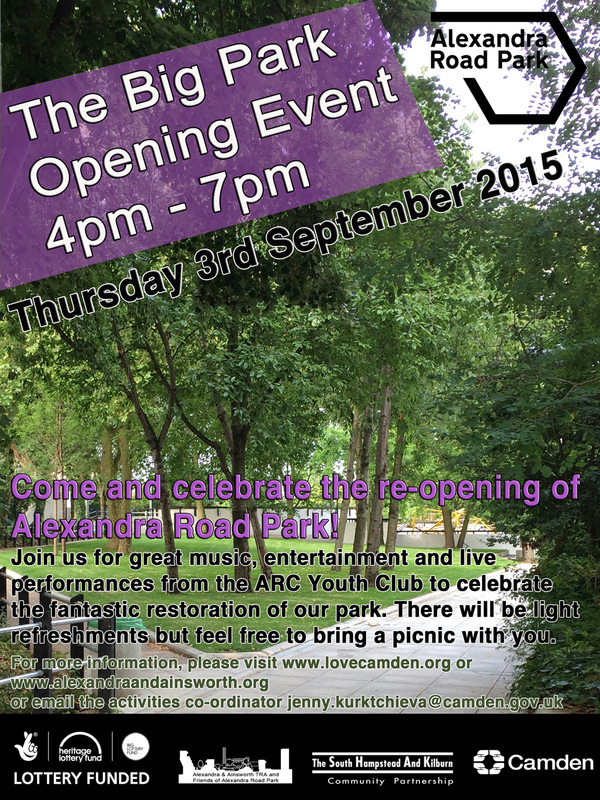 Come to the re-opening of Alexandra Road Park! Take part in National Bat Monitoring survey! As many of you will know, in the past bats have been spotted in Alexandra Road Park. This year new bat boxes have been put up in some of the larger trees in the park, so hopefully there will be even more of them around now. If you’d like an excuse to watch out for them this year, you might like to take part in the National Bat Monitoring Programme anytime in June, July or August. This year’s Sunset/Sunrise survey form is available to download here. To see last years survey, click here. We understand that the park works will be completed at the beginning of July 2015 – so the park will be ready and reopened in time for the summer holidays! The park is looking fantastic and is very nearly finished now – we have uploaded some photos from our site visit earlier this week here, do take a look. To really bring the park to life once the restoration works are finished and ensure that as many groups and people as possible are using it, there will be an Activity Coordinator appointed. This post is currently being advertised, and the deadline for applications is 3rd March.